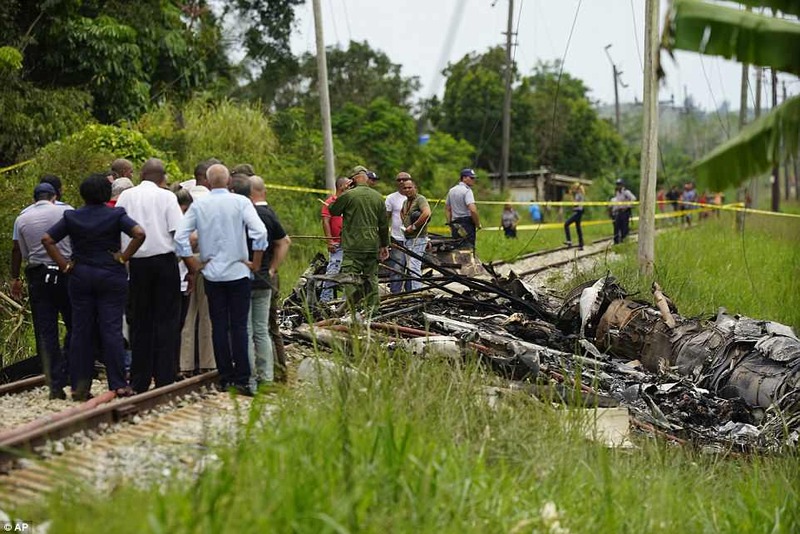 A Boeing 737 plane has crashed moments after taking off from Havana's Jose Marti International Airport - just one day after more than a third of its fleet were grounded over safety concerns. 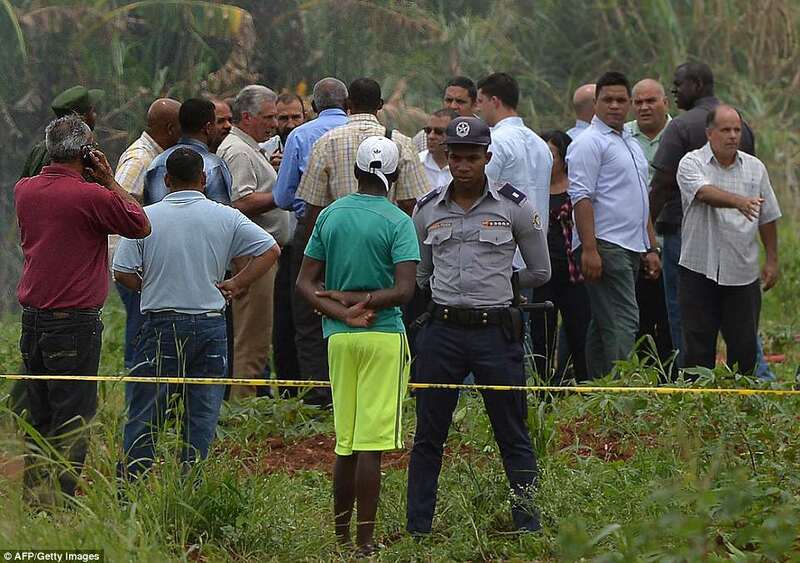 At least 100 are dead after the internal Cubana de Aviacion flight, which was carrying 113 passengers and crew, including five children, crashed into a yuca field near a high school, in the Santiago de las Vegas neighborhood, on Friday. 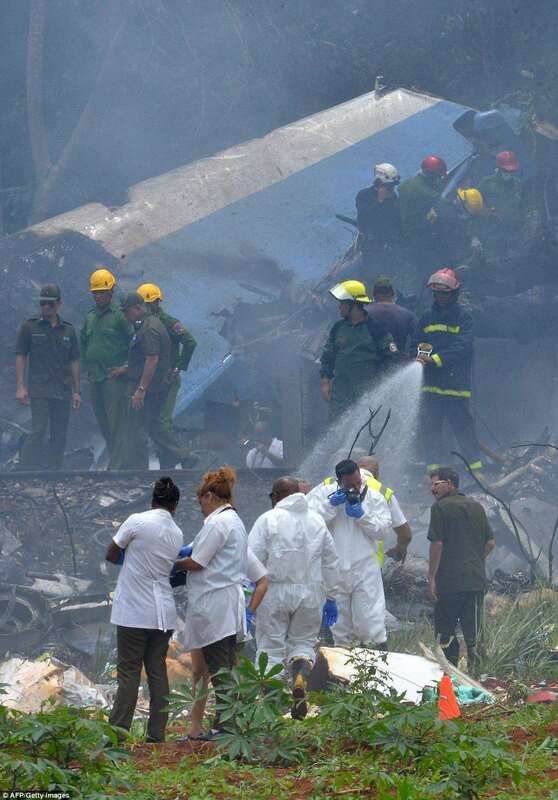 Just four survivors were recovered and taken to hospital in critical condition, according to Cuban media. One has since died in hospital. A shocking video of the aftermath shows a victim being stretchered away from the scene while a large crowd of volunteers and emergency responders attended the scene. 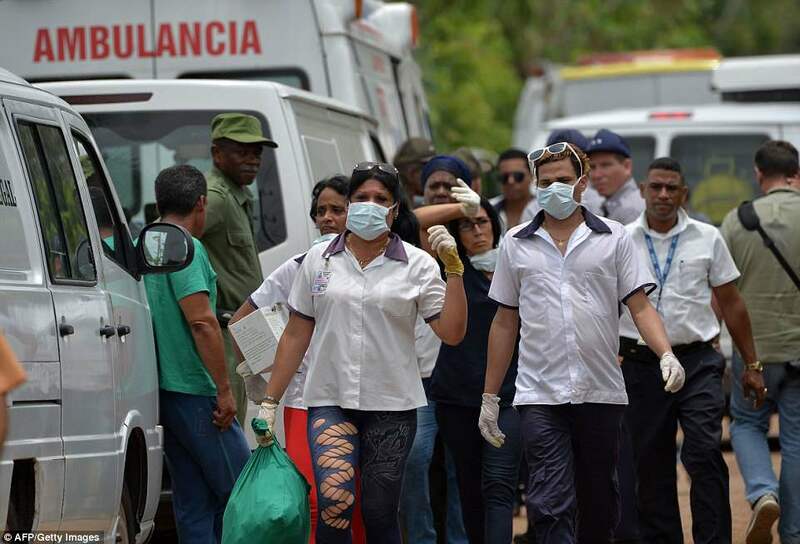 Hospitals in the capital, including the General Calixto García University Hospital, are bracing themselves for the arrival of the survivors, Cuban state media Granma reports. 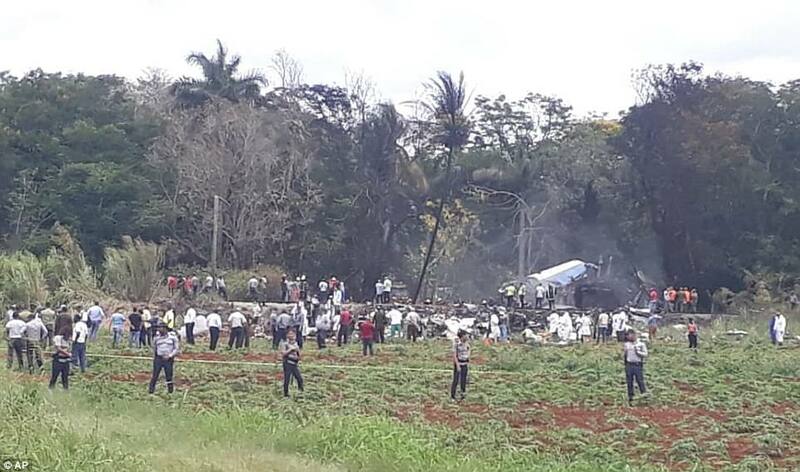 Flight DMJ 0972, which was headed for the city of Holguin, in eastern Cuba, was carrying 104 passengers and nine crew when it crashed at 12.08pm local time. 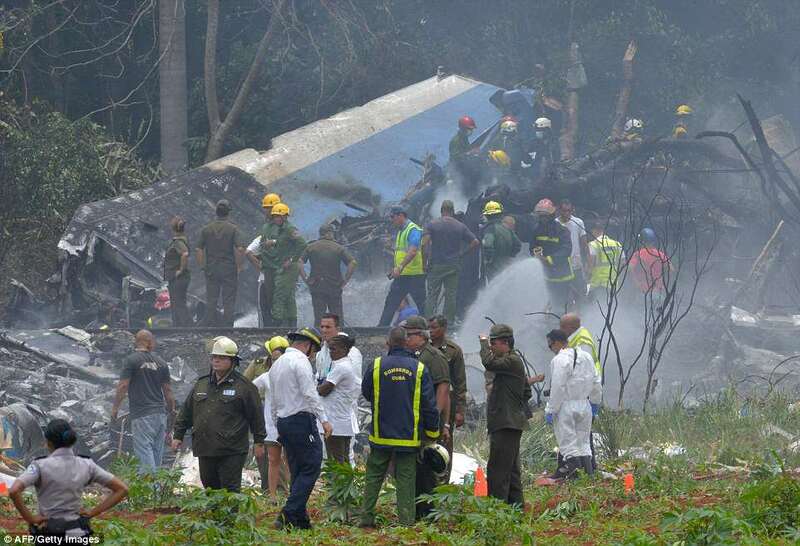 Wreckage was strewn over the area, 12 miles, south of Havana, and blackened parts of the fuselage were visible. 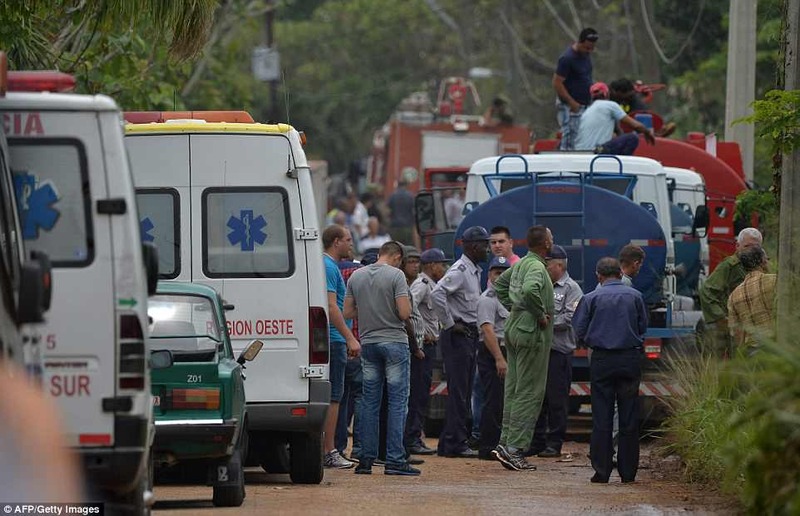 'We heard an explosion and then saw a big cloud of smoke go up,' Gilberto Menendez, who runs a restaurant near the crash site in the agricultural area of Boyeros, told Reuters. 'She is alive but very burnt and swollen,' said a distressed relative of one of the survivors at the hospital. The nationality of those on board was not immediately clear although the crew were Mexican. 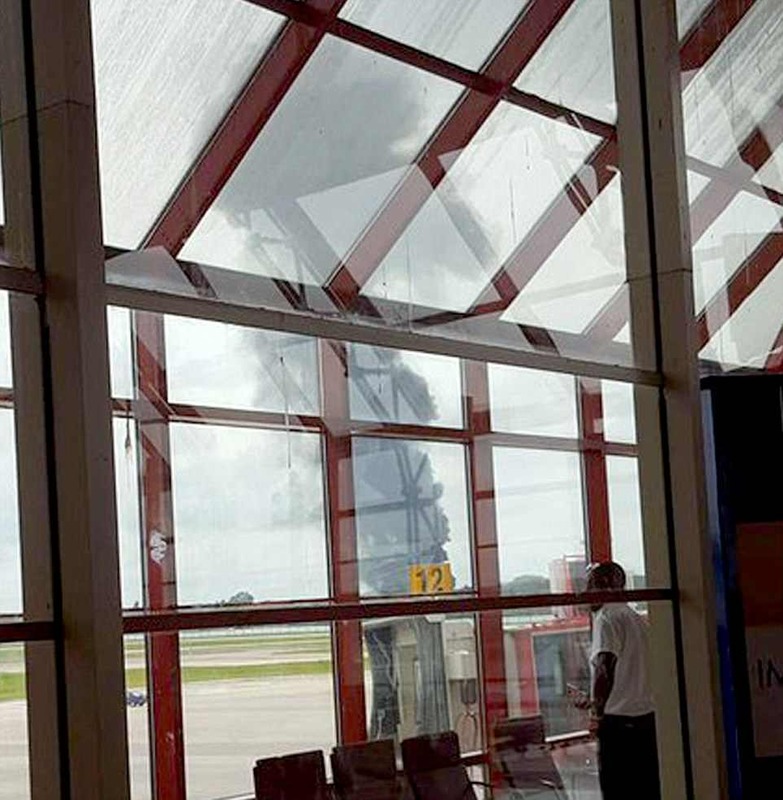 Witnesses at the airport terminal reported seeing a huge fireball followed by a giant plume of smoke rising in the distance. 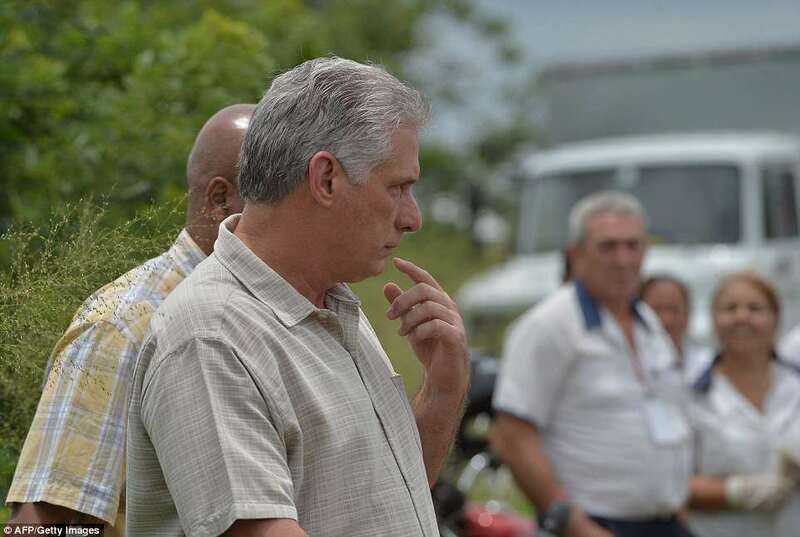 Cuba's newly sworn in president Miguel Diaz-Canel arrived at the scene shortly after the crash. 'The news is not very promising, it seems that there is a high number of victims,' he told AFP. 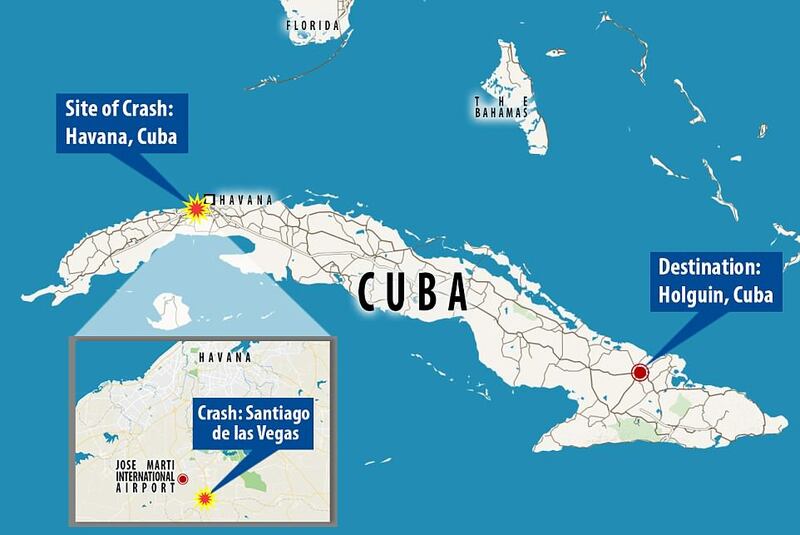 Cuba's national airline, Cubana de Aviacion, has been plagued with safety issues in recent years due to its aging fleet - and only yesterday, more than a third of its fleet were officially grounded. 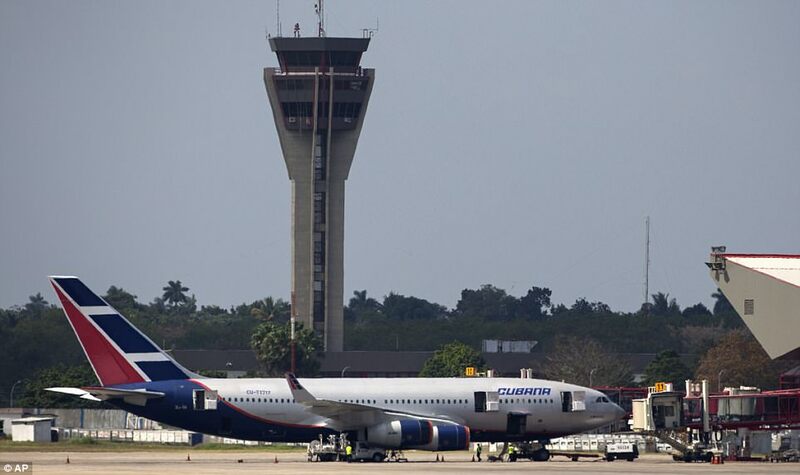 The company - which has a fleet of 16 with an average age of almost ten years old - received an order from the Cuban National Aviation Authority to ground its six An-158 aircraft due to 'serious' technical and safety issues including cracks and mechanical issues, according to Airline Geeks. 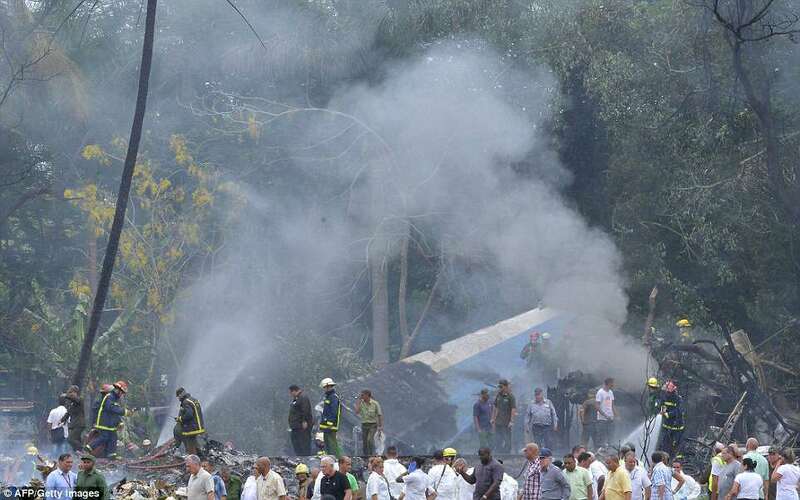 Most of the Ukranian-built aircraft had already been grounded as the airline struggled to get new parts. 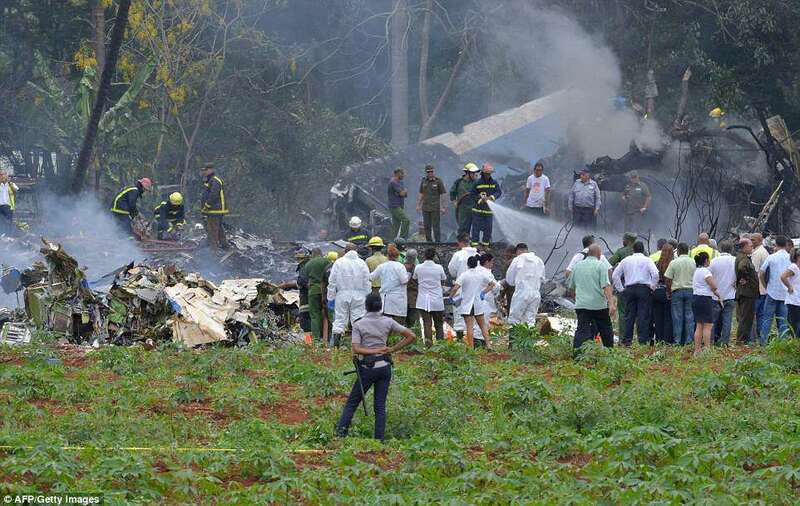 Today's crash reportedly involved Cubana's Boeing 737, leased from the Mexican company Damojh, Cuban news agency Prensa Latina said. It's crew were also Mexican. Cubana added two turboprop ATR 72-500s, provided by South African Solenta Aviation, in 2017.